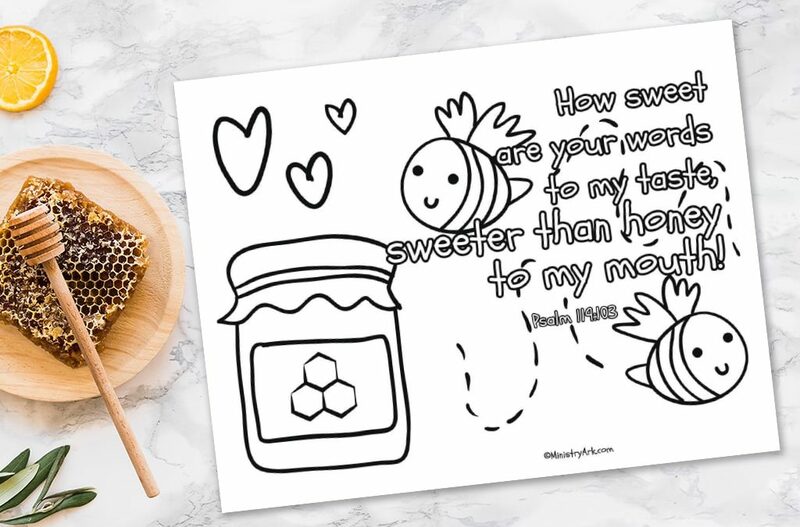 If you love the ‘Sweeter Than Honey’ Printable (Psalm 119:103) as much as we do, please share it on Pinterest to let others see it too! 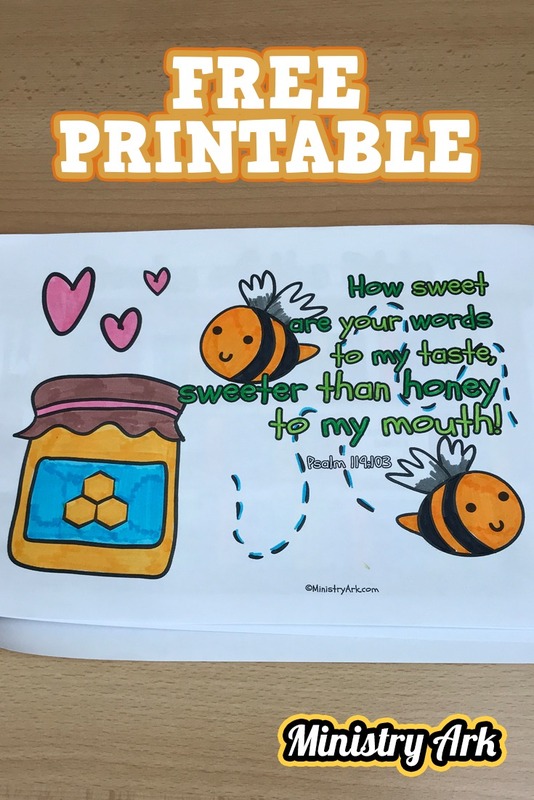 The ‘Sweeter Than Honey’ printable (Psalm 119:103) helps children to think about the sweetest thing that they know and then helps them to see how good God’s Word is. 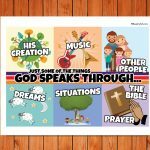 You can use this printable to aid any lesson on the Word of God and the words that God speaks to us personally – or why not use it to speak to children about how they speak to others. Most children love honey and this is a great way to get them thinking about how sweet God’s Word is. 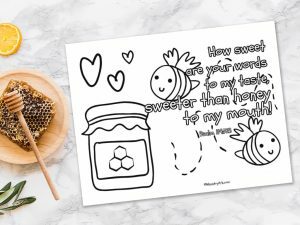 You could even use games and activities along with this coloring sheet that include honey. Or why not use the discussion questions below as you color and encourage your little ones to think about the words they use. We’ve given the printable a color to help you to see what it could look like! 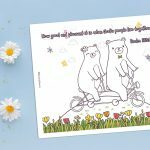 Children are so creative and we’re sure they can do a great job of coloring this printable too… perhaps they might even like to stick it up on their fridge or bedroom wall as a reminder of God’s words to them. 1. What is the sweetest sugariest thing you have ever tasted? 2. Do you like sweet things? Why? 3. What is your favorite sweet or sweet thing to taste? 4. What do you think it means to say that God’s words are ‘sweeter than honey’? 5. Do you know any of the ‘sweet’ things that God says about you?